How To Identify Counterfeit Money? Comments Off on How To Identify Counterfeit Money? Serial numbers are common identifiers for each banknote and they are often consisted of two-letter prefix, followed by 8-digit code and one suffix letter in US banknotes. However, other currencies could use different formats. In the US, prefix letters are between A and L and they are printed using dark green ink. Some less knowledgeable may not understand the basic serial numbers formats and they may use improper letters for prefix. There should also be even spaces between letters and numbers. We should check the green ink that’s used to print serial numbers and seals. Also, replicating the exact colors can be quite difficult for counterfeiters. The serial number should have dark green ink and it needs to be used consistently throughout the whole serial number. We should look for signs of color chipping and fading. The color of the serial number should match with the one used to print the Treasury Seal. Some fake bills could have lighter shade and sometimes darker shade of green. Due to inaccuracies in colors, counterfeit money is often handed over in dimly lit-areas, such as bars and restaurants. In order to detect counterfeit money, the original banknotes have the second row of the serial number indented slightly to the right. If we find irregular spacing, it is quite likely that we are dealing with forgery. Color shifting number is another safety feature used in banknotes. This is one of the most difficult anti-counterfeit techniques that is hard to fool. 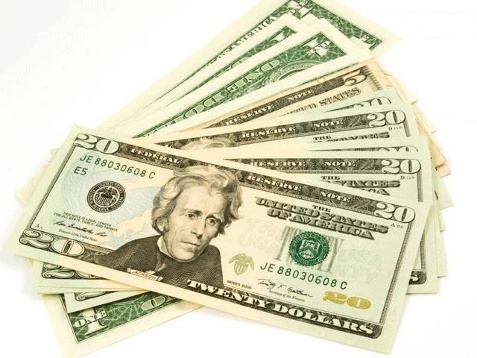 On US banknotes, the color-shifting ink is used on a group of numerals, specifically at the lower-right corner. On genuine $10 banknotes, if we tilt it, the green color will change to copper or black, depending on the surrounding lighting. Other banknotes could have different areas that use color-shifting ink and if we find fake ones, the color won’t shift no matter how we move or shift it around. The ink used is also known as optically-variable ink and it is not commercially available. Government-run, money printing agencies order the ink from special providers. Original bank notes also have fine lines and microprinting. There are some intricate and fine designs that are printed into original banknotes. They will be very difficult to match with regular copiers and printers. Because of the fine lines are very small and intricate, using a standard printer could result in lack of sharpness, blurring and smudging. We should study local banknotes and check where microprinting is located. As an example, on $100 original US banknotes, microprinting is located on the lower left position of the “100” number. If we know the location and shape of the fine lines and microprinting, magnifying glass isn’t required.